Vase of earthenware covered with a streaked light and dark blue glaze. 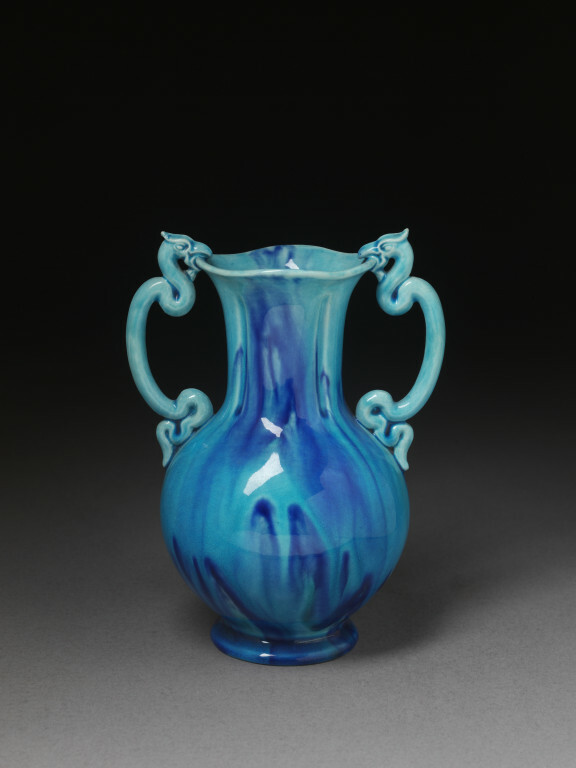 Bulbous body with a narrow neck, expanding mouth and two loop handles in the forms of dragons. 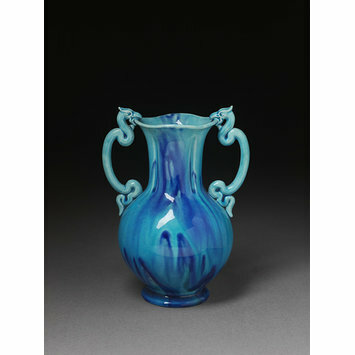 Vase of earthenware covered with a streaked blue glaze, made by Maw & Co., Benthall Works, Jackfield, ca. 1871.